Fact: This is the 5th X-Men movie in the past 11 years. It would certainly seem that Marvel Comics is keen to make the perfect movie for their beloved characters. They have made horrendous (X-Men Origins: Wolverine) and very good (X2: X-Men United) films. Now they can add a very very good movie to the mix. As the title may suggest, this latest outing is in fact the first outing for the main characters. X-Men: First Class is a prequel chronicling how the X-men first formed with the help of Professor Xavier and Magneto. What the X-Men series always did, was place their superheroes in our real world. So this prequel takes place during the cold war and the events leading up to the Cuban Missile Crisis. The story weaves these fictional mutants right into our universe, and this helps us relate to the plot as well as provide a little twist on History. This is just one of the elements in the X-Men movies that always appealed to me and made the series interesting. Fortunately the other elements (that the previous films may have only touched on) are definitely well explored in First Class. These include the allegory of mutants representing different races through themes of racism, discovering the abilities of mutants just as they learn to use them and developing the most fascinating character relationship between Xavier and Magneto. 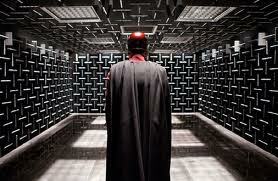 Magneto definitely steals the show, and every time he’s not on screen, you are waiting for him to come back. His motivations of revenge are always in conflict with Xavier’s philosophy of teamwork and mutual respect for a greater good. First Class makes sure to focus on these aspects and thus makes for a reboot of the series that remains loyal to the original themes. The film does take a long time to get going and can thus seem long, but by the time you reach the end, it was all worth it. The score was a weird hybrid of the music from Inception, the previous X-Men film scores and a lot of guitar of drums....interesting. Summary: Its main success lies in nailing the appealing, core aspects of the franchise, not unlike the newest Star Trek film. It is probably the best of the X-Men films (yes, even more than X2), and if you’ve never seen any of them, you won’t be lost either. I definitely recommend this film for most people, especially any comic book/superhero fan. It is #225 out of the 1544 movies I’ve seen [on flickchart.com].